With over 30 years’ geophysics experience, Spichak’s main research interests include: Joint interpretation of electromagnetic and other geophysical data, Indirect estimation of the Earth’s physical properties from the ground electromagneti data, and Computational electromagnetics. 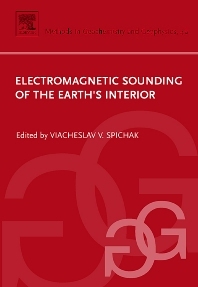 Spichak has authored 8 books with Elsevier, including the previous edition of Electromagnetic Sounding of the Earth's Interior (2006). Spichak is the winner of the Gamburtsev award for the monograph “Magnetotelluric fields in three-dimensional models of geoelectrics” (1999) and the Schmidt medal for outstanding achievements in Geophysics (2010).